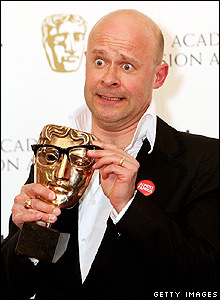 I love Harry Hill and I particularly like how he's managed to take his rather niche and bizarre comedy and bring it to a mainstream audience. Last week on TV Burp he actually had an ITV audience happily cheering on "Now I like the dramatic jewellery of René Lalique, I like the organic forms of Émile Gallé's glass and then again I like the alluring femmes fatales of Alphonse Mucha, but which is better?" The real mystery is how a primetime TV can laugh along at a fight between the works of Art Nouveau artists, but that's the genius of Harry Hill. And that was the last episode of TV Burp. After 11 years, it's gone. 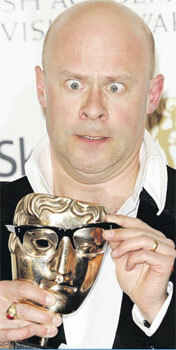 I'll bet Harry Hill is quite pleased as he's been privately saying for years that the show is driving him mental. You might imagine that he's got a huge team of researchers finding all the clips for him, but it is actually Harry sitting there watching through them all on his own. 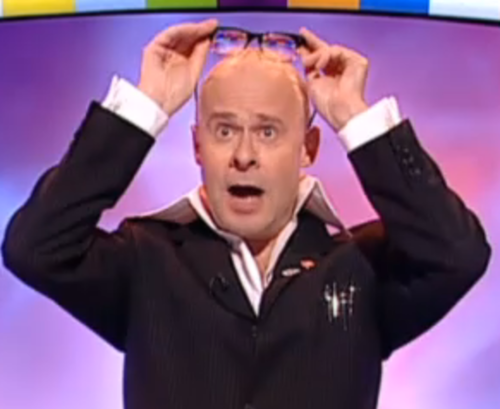 But the greatest trick that Harry Hill has managed is to be invisible. Despite his highly distinctive look, he just need to remove his glasses and change his clothes and you'd never recognise him. Even the media don't. You never read anything about Harry in any gossip columns. Is he married? Does he have kids? Is he dating a celebrity? Nope, none of that. He is married and he has three kids, by the way. And his name's not really Harry Hill. 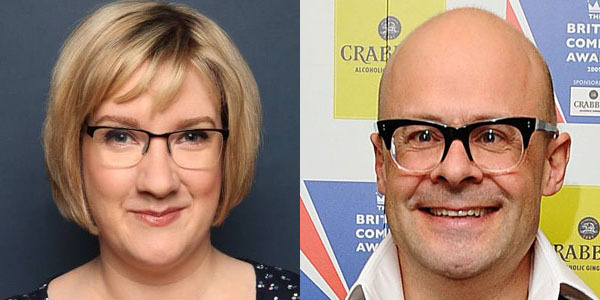 Harry has somehow made his way up from his obscure and esoteric Radio 4 show (Harry Hill's Fruit Corner) to mainstream TV success and a surprisingly large pay-cheque. But now that TV Burp is at an end, it'll be interesting to see how ITV try to keep hold of Harry and what show they'll have him fronting.